An official teaser reveal Team Sonic Racing was also posted by Sega. 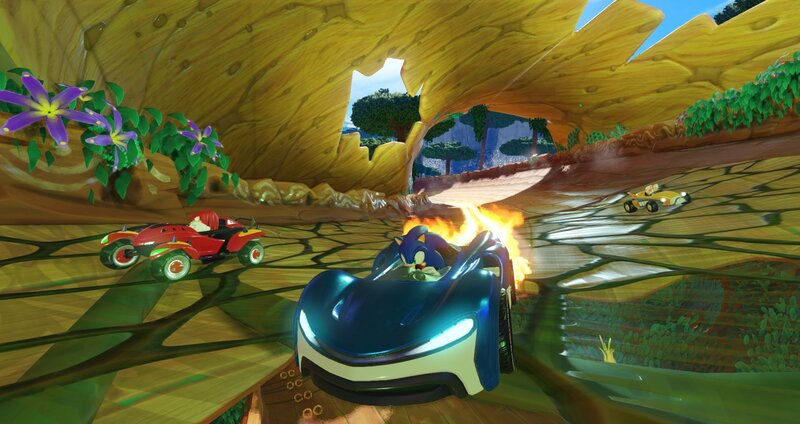 This morning, Walmart “accidentally” leaked a brand new Sonic game called Team Sonic Racing. Gamers on the forum ResetEra spotted the Walmart listing for the game and shared the details online. The listing included official Nintendo Switch box art, screenshots, and numerous details about the game. Team Sonic Racing is currently being developed by Sumo Digital, and will feature similar elements to previous Sonic titles such as Sonic & Sega All-Stars Racing. Some of these features include Time-Trial, Grand Prix, Exhibition, along with 12-player online multiplayer, a new Team Adventure mode, and local split screen up to four players. Sega later confirmed the leak with a teaser trailer on Twitter in addition to release date info. According to Sega, Team Sonic Racing is scheduled to release this winter for PS4, Xbox One, and Nintendo Switch with pre-orders available now. Aside from Team Sonic Racing, a new Pokémon game was confirmed yesterday and is set to release for Nintendo Switch this fall. Without a doubt, gamers will be quite busy towards the end of the year. What do you think of the Team Sonic Racing announcement? Have you pre-ordered the game? Let us know down in the comments below!